With seven great fights added today, UFC 216 is shaping up to have a pretty strong undercard. UFC 216 on Oct. 7, 2017, from T-Mobile Arena in Las Vegas, Nevada, is still a ways away, but the promotion has been busy booking up a pretty great-looking undercard for the event. Today, it released seven bouts for the show, which may or may not end up being headlined by Stipe Miocic vs. Cain Velasquez for the Heavyweight title. Stipe recently said he wouldn’t fight again until issues with his pay are resolved by UFC. But, onto people who do want to fight, including entertaining bangers Lando Vannata and Abel Trujillo. 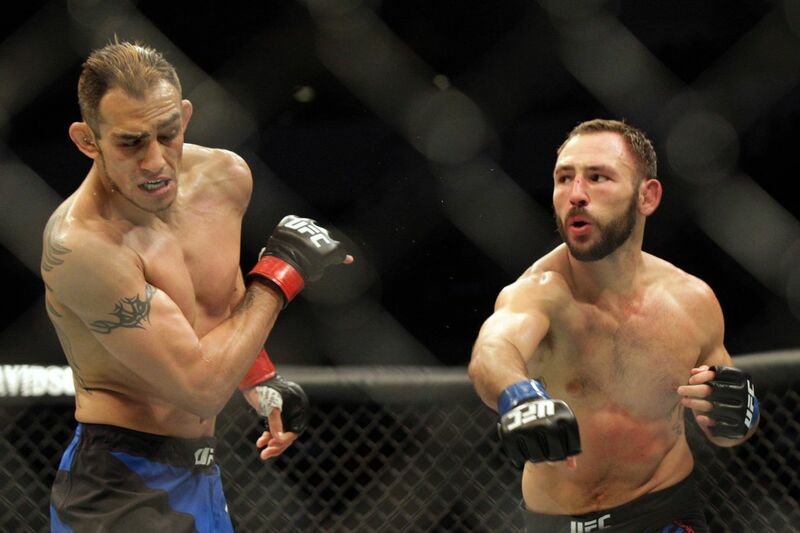 Vannata is 1-2 in UFC, but earned “Performance of the Night” bonuses in all three fights. Trujillo is 2-1 in his last three. Former Bellator champ Will Brooks looks to bounce back from a two-fight skid against the tough Nik Lentz, and Evan Dunham brings a four-fight win streak into his Lightweight battle with Beneil Dariush. Other fights include Thales Leites vs. Brad Tavares, John Moraga vs. Magomed Bibulatov, Matt Schnell vs. Marco Beltran, and Walt Harris vs. Mark Godbeer. To check out UFC’s upcoming schedule of events click here.